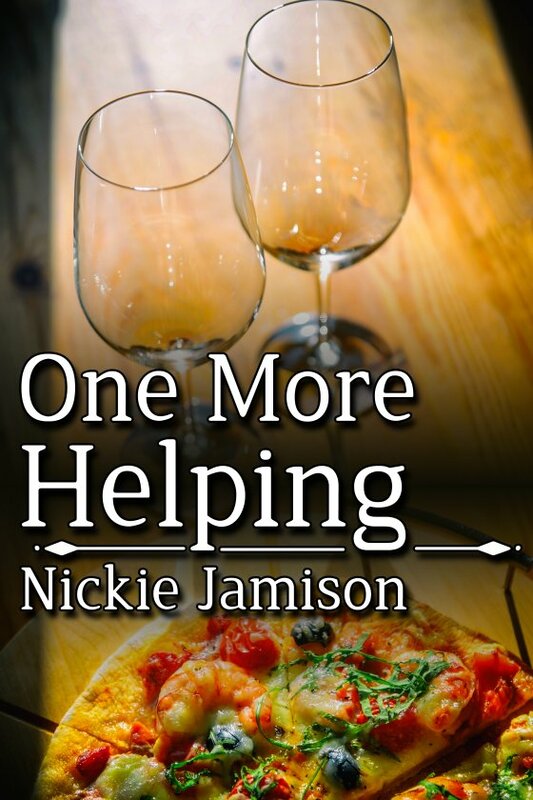 One More Helping by Nickie Jamison is now available! Pizza has been part of Dante’s world since his childhood. He lives and works at the Italian restaurant founded by his grandparents, Pizza 3.14. Things in the kitchen heat up when Dante’s father hires Isaiah “Izz” Byrne, a new busser with a shady past who just happens to make pretty good pancakes. Izz is determined to not let his past ruin his future with Dante, but when old “friends” show up, it’s Dante to the rescue. Will that be enough to keep danger at bay? Or will Dante and Izz lose more than they bargained for?